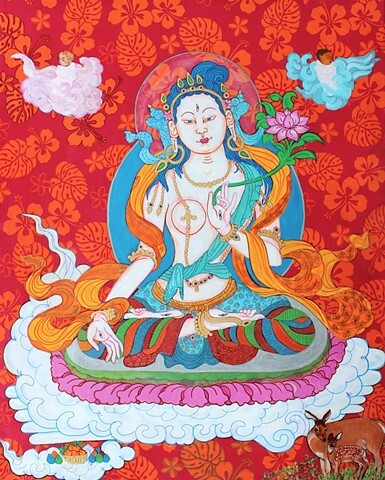 I recently read a text on White Tara which said those wishing to have a baby should invoke Tara. I have a half dozen friends wanting to have a baby. I painted this Tara for them. A pink little girl floats in from the left and a brown baby boy from the right. I put a doe and her fawn in the bottom right to symbolize mom and baby.